The body of an Inglis man reported missing earlier in the week was found floating on Saturday in the Withslacoochee River. 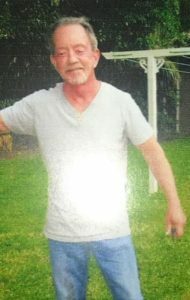 George Kiggans, 66, was reported missing on Wednesday, March 20, after he was last seen around 2 p.m. in the vicinity of his residence on West Foss Grove Path in Inglis. “We utilized our resources as well as requested assistance from other organizations to assist in locating Mr. Kiggans,” said Citrus County Sheriff Mike Prendergast. “This is not how we want any search to end, and we are truly sorry for the family’s loss. “It is with the deepest amount of sorrow that we inform the public that Mr. Kiggans has been recovered from the Withlacoochee River. For the past four days, the Citrus County Sheriff’s Office, Florida Fish and Wildlife Conversation Commission (FWC), Find-M’ Friends and Pasco County Sheriff’s Office utilized every means possible to locate Mr. Kiggans, and the search ended today. Diving in waters with zero visibility, coupled with an extremely strong current, made this one of the toughest missions our Dive Team encountered, Team Leader David Seidenstucker said.